The Kjaer Academy is our educational platform. 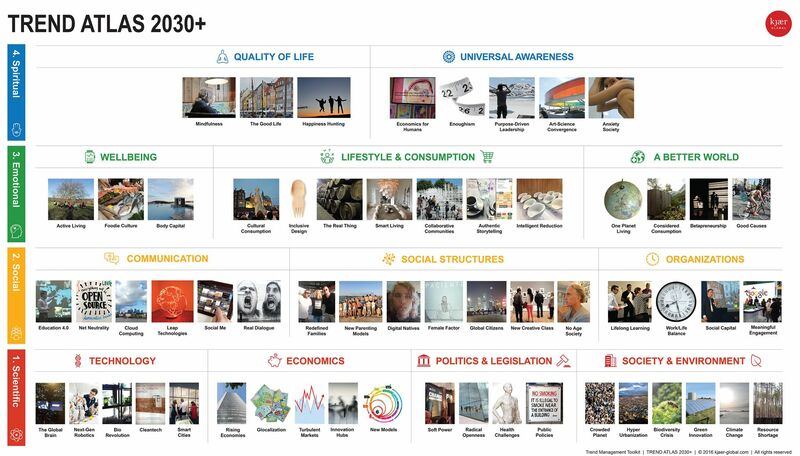 scenario planning, personas, roadmaps and much more! Just how well are we prepared for the challenges of operating in the 21st century? Where are the sustainable innovations coming from? Will the Internet of Things have the power to change relationships? Is our cupcakes obsession really a trend? The Designer Magazine asked trendwatchers: What is next? How do you live your life? In different stages? Don’t we all just want to be happy and fulfilled? Is our notion of time damaging rather than assisting us?